Properties in Lebanon average 4.8 out of 5 stars. 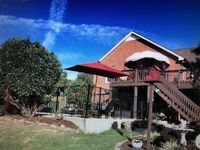 Property 10: Spacious Upstairs Private Room And Full Bath 15 Mins From Down Town Nashville. Property 11: Rebecca’s Nest-A Creekside Retreat! Property 22: Upscale 3BR on Old Hickory Lake w/Private Dock & Hot Tub, Close to Nashville. Property 24: 3 Bedroom Lakefront Home W/Private Dock, Jacuzzi, Pool Table & Game room! Property 26: Wonderful home near airport & Nash. Property 36: Stay with your entire family, wedding party/group in a luxurious Nashville home. Your new home away from home! Make your Nashville visit one you'll never forget! Property 40: Your new home away from home! Make your Nashville visit one you'll never forget! Beautiful Suburban Home located in Hendersonville, TN. 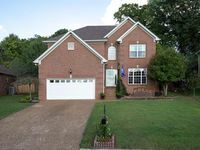 Property 48: Beautiful Suburban Home located in Hendersonville, TN. Property 50: Newly renovated 4 BR home Close to Old Hickory Lake! The house was clean and just as pictured. I felt comfortable and safe. Screened in porch, grill, and pool make for a great place to be in the summertime!